It’s the debut author here, Wendy, writing as W A Cooper. 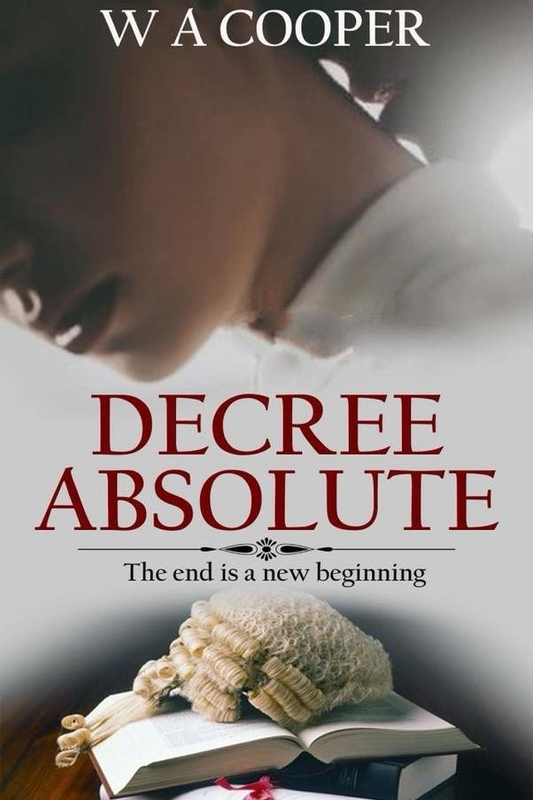 My novel Decree Absolute has been out since 4th September and is ranking quite well in its genre!!! Being a first timer at this has been the biggest learning curve I’ve undertaken for many years. It is exciting and downright scary at the same time. I’m amazed at the range of emotions I’ve been through recently! Elation when DA peaked at #3 in Amazon’s UK genre ranking only to have drop away and my joy plummeted with it!!! But it’s a fantastic journey and one I hope to repeat again soon. At least the next time I’ll have a handle on what is expected and what to do! Now for something more personal!!! 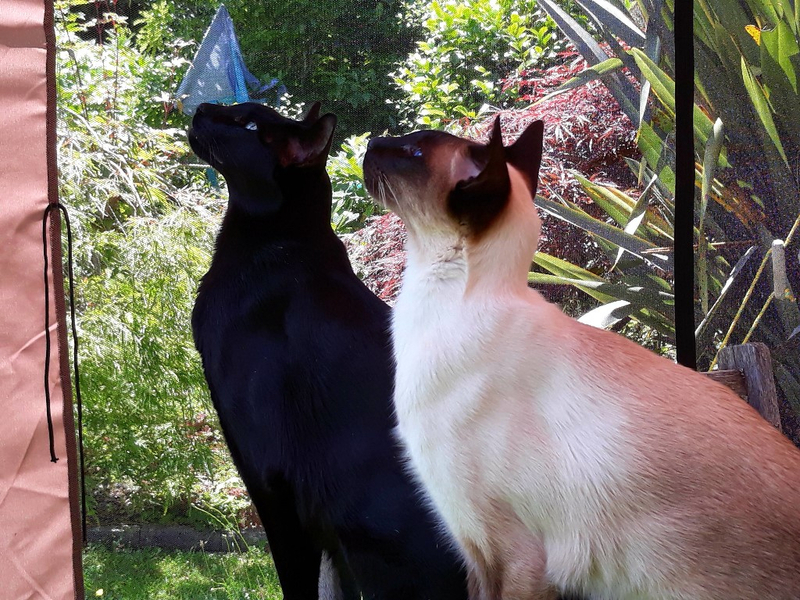 Here is a picture of our two exotic felines looking at a tiny bug on the roof of their summer gazebo! Yes they have one of their own! Mischka is the Siamese Seal-point and Kato is the Oriental Ebony. These are no ordinary moggies!! They talk too much, the world revolves around them only and they demand attention every opportunity they can! They are great company when I’m writing except when they delete the best scene I’ve ever written with one walk across the keyboard! I grew up with Siamese cats but thought I’d try an Oriental for a change! Big mistake!!! Highly strung, naughty, has a tendency to over dramatize everything! But loving beyond words, so I guess that makes up for the rest of it! Jessica Barron no longer believes in love. Her first husband died tragically and she discovers her second husband in flagrante with their children’s nanny. But with the faithless pair gone, her parents holidaying overseas, and her friend Amy in no state to assist, the Leeds divorce advocate can’t juggle the demands of her job with the care of her children, Luke and Gemmy, who she is emotionally estranged from. Jessica needs a new nanny, and fast. Renée Arden is over relationships. Reeling from a recent break up, the Home Solution Agency owner is temporarily homeless. When Jessica mistakes her for a staff member, the solution is obvious. Renée will step in as nanny. On their initial meeting Jessica and Renée clash. But desperate times call for desperate measures and the women put aside their differences. Both women, in their own way, need each other. Renée’s efficient running of the household, enables Jessica to reconnect with her children and their relationship moves from professional to friendship, with the possibility of so much more. But circumstances and supposed friends conspire against them. 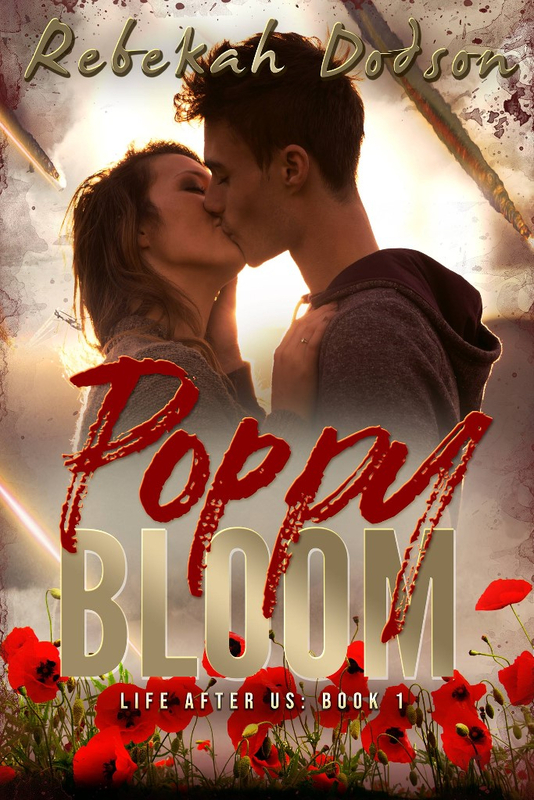 Further heartbreak, hidden truths and secret desires test their fledgling relationship. Decree Absolute…the end is a new beginning. Or is it?